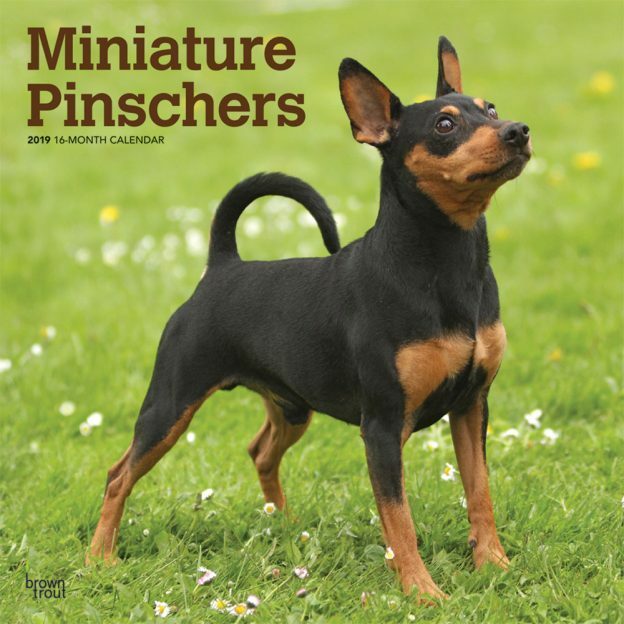 Miniature Pinschers are small dogs that think big. Min Pins are clever, active, and protective. They were originally bred in Germany and are thought to originate from crossing small smooth-haired German pinschers, smooth Dachshunds, and Italian Greyhounds. Slight but stately, this intelligent dog is aptly titled “The King of Toys.” Enjoy twelve months of these high-stepping dogs with this Miniature Pinschers square wall calendar. This calendar includes a free download of the DogDays™ app for the smartphone and tablet, which grants access to the world’s most captivating dog photos and backgrounds, fun puzzles, and a calendar featuring your favorite furry friends. This entry was posted in Calendar Showcase, Dog Breed on March 5, 2019 by dogdaysapp.